I'll be the first to admit that I am not well versed in the majority of G1 knowledge and such. 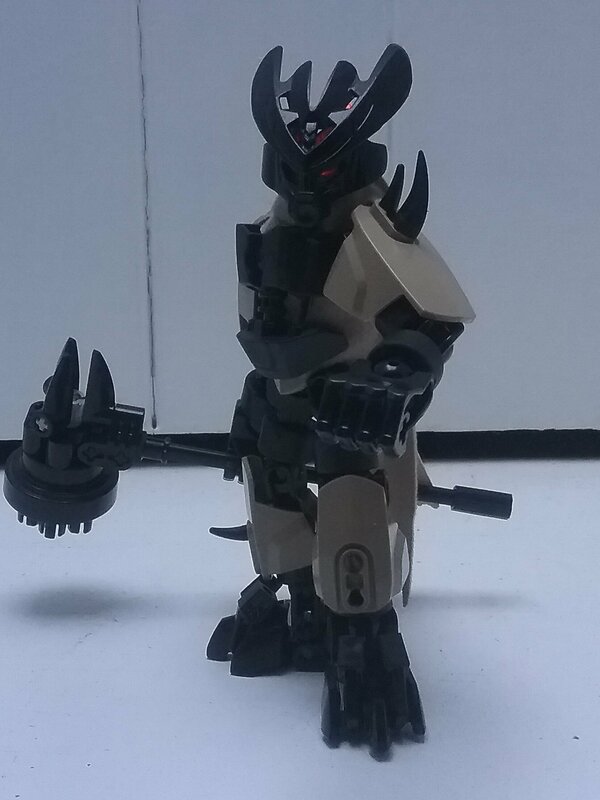 But despite this, I tried to capture what some Matoran may look like, should they be build in the Okoto-style of G2. 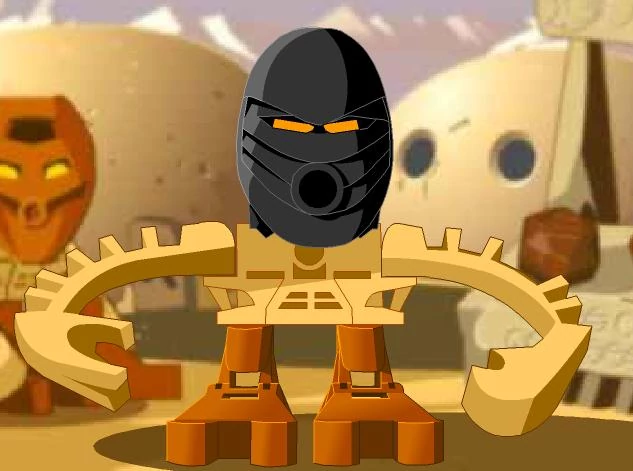 First, we shall cover the backstabber himself, Ahkmou. 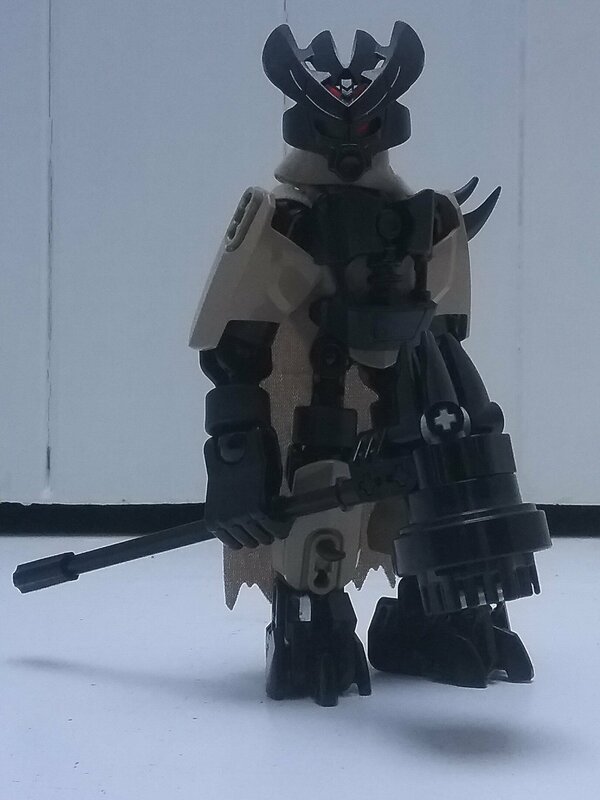 When I got around to making this guy, I went through using burnt orange shells and light tan shells, but to me at least, I think the dark tan works best. And I wanted something that'd complement the robe piece from TFA Rey. I purposely positioned the robes to have it covering one of the eye holes of the mask. Took a while to get it just right while also getting the cape across his back the right way, but I like to think it came out good. That is Akhmou, in G2-form. Hope others like this interpretation of him as I do. Pretty nice. Not much else to say. It doesn't reminds me of Ahkmou. The hammer doesn't make much sense for Ahkmou, but besides that this is a great interpretation of Ahkmou in G2. Maybe change his weapon to a dagger or something to give him slightly more of an evil vibe with the weapon. This doesn't mean the hammer looks bad. Looks nice. While the hammer doesn’t quite fit for Ahkmou, it still looks like a really cool hammer. now this is the type of Okoto-style I usually love to see! I’m just now realizing how useful those tire pieces are. My question is, how do you even attach them?!!! The tires should slide over the ball-end of any of the open-ball pieces (aside from the smallest one). but outside of that it's neat. 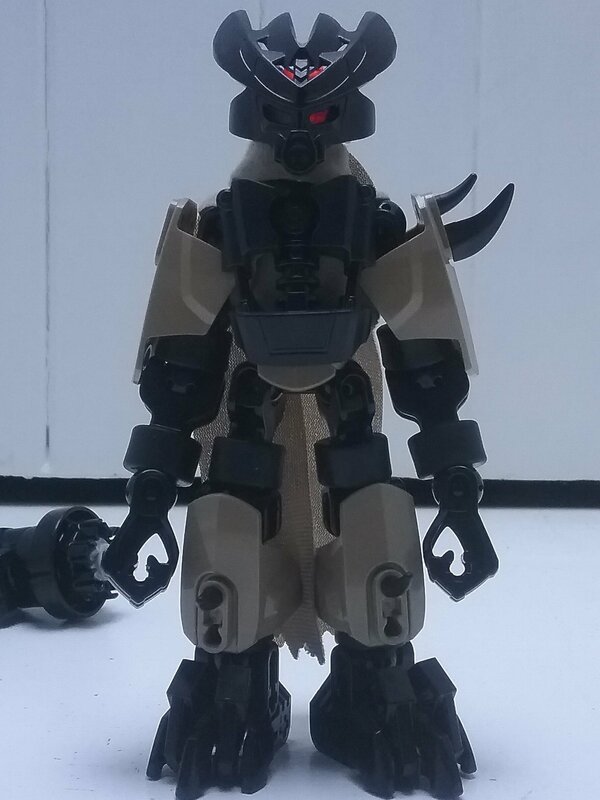 Looks a lot more like his appearance on Mata Nui than the set we got of his Metru Nui form. Which is probably appropriate for the conversion to G2. The robe is a good touch. I think you could have gotten away with a third colour though, maybe some trans-orange bones or a gold chestplate and shins.